40s for highs into next week; shot at 50+ readings by Thursday. No rain looking out into next weekend. Dry Halloween for Minnesota, Trick or Treat temperatures near 40 F. in the metro area. 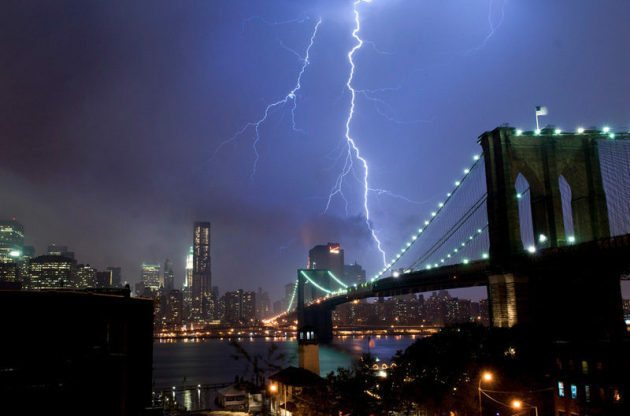 1 in 100 year Storm for New York City? 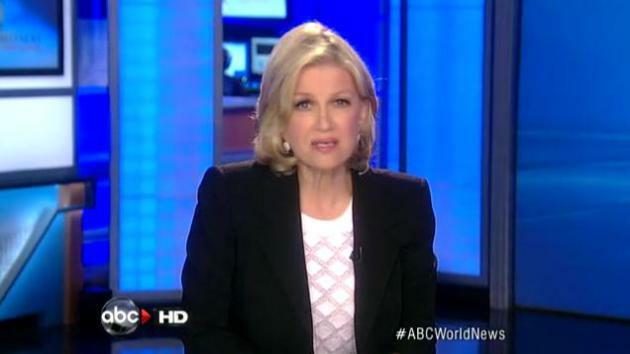 The latest on Sandy below. 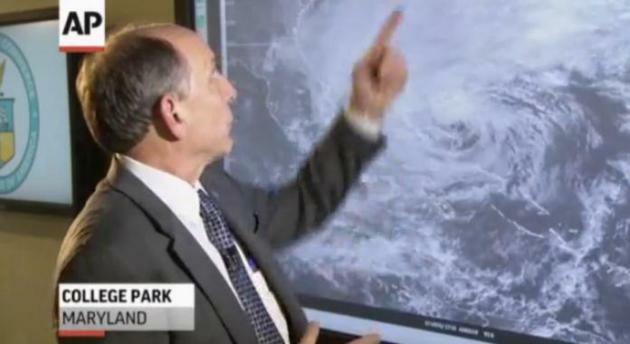 Prediction: you'll be hearing about the implications of "Sandy" for many weeks to come. 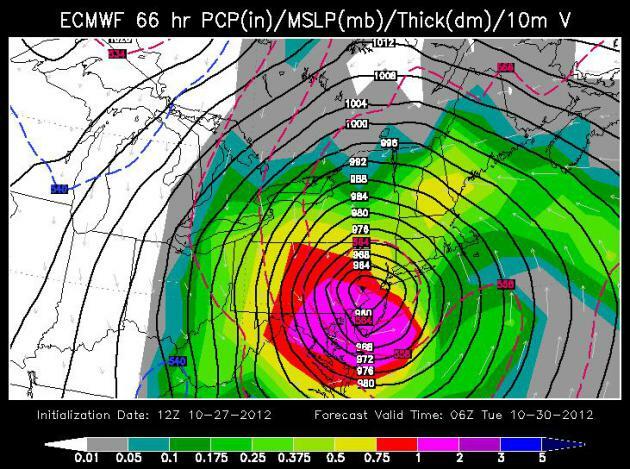 This sprawling, historic hybrid mash-up of hurricane and fierce Nor'easter may even impact the 2012 Election. Most of the (60+) weather models we study show Sandy pinwheeling just south of Long Island & New York City; sustained 60-90 mph winds funneling water into the "New York Bight", where New Jersey meets the Hudson River Valley. A full moon complicates matters Monday afternoon, the worst day. NOAA "Slosh" model simulations show an 8-9 foot storm surge pushing across Long Island Sound into parts of Brooklyn and Queens. Runways at La Guardia Airport may be under 2 feet of water Monday. In a tornado you want to be below ground, in a basement - but hurricanes call for "vertical evacuations"; 3rd or 4th floor of a well-constructed building. Inland flooding and week-long power outages may impact an almost unprecedented swath of the northeast, from DC to Philly, New York & Boston. A quiet week is shaping up here; dry for Halloween - 50 F. will feel surprisingly good by Thursday. 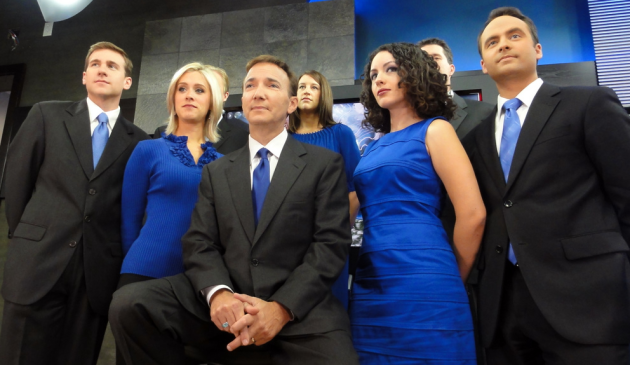 A cold rain next Monday may end as a few wet snowflakes; skies clear for Election Day 2012. Still On Track. The 00z NAM shows extra-tropical Nor'easter passing very close to New York City by 10 pm Monday night, capable of a very damaging storm surge over Long Island and even pushing into New York Harbor, with hurricane-force winds extending inland as far as Hartford, Albany, Wilkes-Barre and Philadelphia Monday night. Sandy: second largest tropical storm in the Atlantic since 1988; tropical storm-force winds extending 450 miles from the center of the storm (northeast quadrant). Source: Weather Underground. Future Radar (WRF-NMM) model courtesy of Ham Weather. 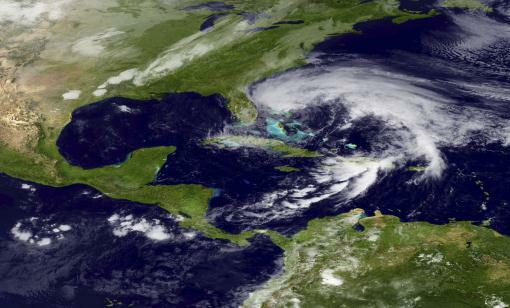 60 million Americans may be impacted by Sandy - with implications for the 2012 elections, according to the BBC. Unprecedented? From the Saturday night Baltimore, MD/Washington D.C. NWS discussion: "I cannot recall ever seeing model forecasts of such an expansive areal wind field with values so high for so long a time. We are breaking new ground here." Monday Morning Storm Surge. NOAA models are hinting at a 5 foot storm surge Monday morning along the Jersey shore - map above valid 7 am Monday. What Keeps Us Up At Night? The same NOAA "Slosh" model is hinting at a 6-10 foot storm surge for Long Island Sound by 7 pm Monday; the combination of sustained 60-80 mph. winds and low pressure (and a full moon) carving out a "dome" of water, pushed along by Sandy - water literally piling up north of Long Island - pushing toward LGA, JFK and lowland areas of Brooklyn and Queens. Not sure why they're not moving people. 8-12 Foot Storm Surge? Here is the NOAA forecast for Kings Point, New York, east of La Guardia Airport, showing a steady rise in water levels, peaking Monday night - the combination of storm surge, high tide (and full moon) creating a possible 10+ rise in water levels in Long Island Sound. Major Flooding For Lower Manhattan? 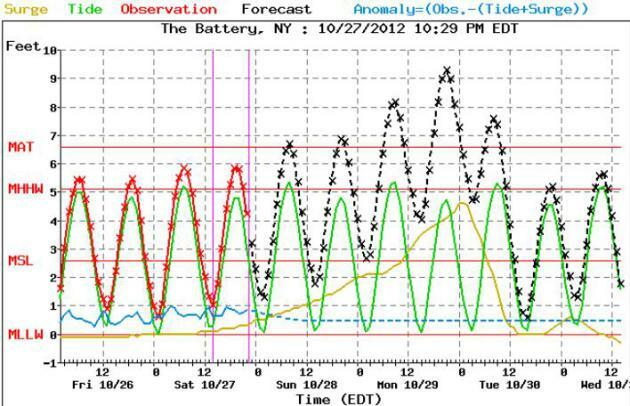 Here is the NOAA forecast for water levels at The Battery - showing some potentially jaw-dropping rises in water levels. A storm surge of 4-5 feet, superimposed high tide (and full moon) may have some very unpleasant consequences for low-lying areas of Manhattan, Brooklyn, Queens and Staten Island. 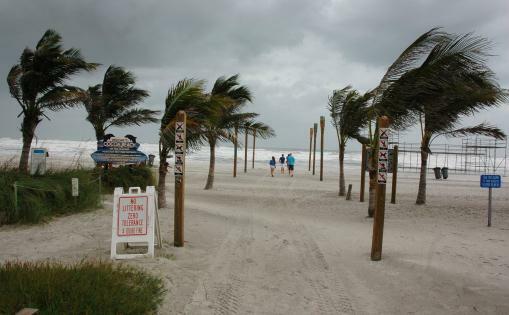 Why No Hurricane Watches or Warnings? 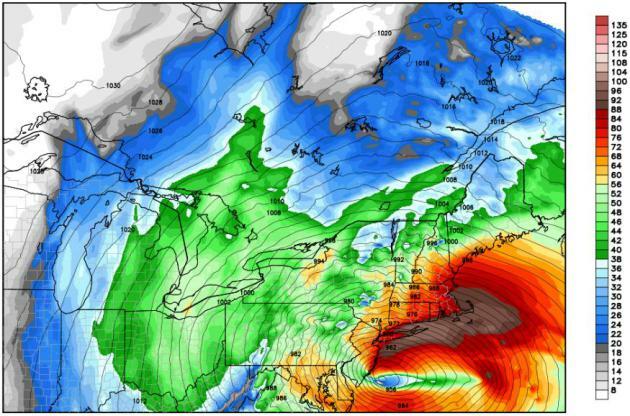 Because Sandy is transitioning from a warm-core (ocean-powered) hurricane into an extra-tropical low pressure system, a classic Nor'easter, fed by powerful temperature extremes and swirling jet stream winds aloft to amplify and focus the storm's fury. More details on the transition and terminology from NHC, via Facebook: "...thus, once Sandy loses its tropical cyclone status it will be know as "Post-tropical Cyclone Sandy" in NWS products. Some aspects of this transition are already occurring, and NWS forecasts of storm impacts are based on this expected evolution. Regardless of when this transition occurs, Sandy is expected to bring significant wind, surge, rainfall and inland flooding hazards over an extremely large area, and snowfall to more limited areas. Because Sandy is expected to make this transition before reaching the coast, the NWS has been using non-tropical wind watches and warnings, issued by local NWS Weather Forecast Offices (WFO's), to communicate the wind threat posed by Sandy in the Mid-Atlantic States and New England (this is why NHC's tropical storm warnings extend only into North Carolina). The NWS plans to continue using non-tropical watches and warnings issued by local offices in the Mid-Atlantic States and northward throughout this event. By using non-tropical warnings in these areas from the start, we avoid or minimize the significant confusion that could occur if the warning suite changed from tropical to non-tropical in the middle of the event." NOAA HFIP - Experimental Real-Time High Resolution Forecasts. Forecast track courtesy of NOAA AOML. Perspective. 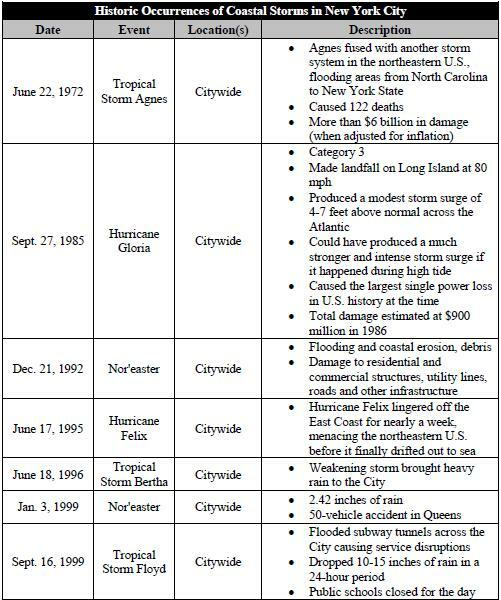 If a storm surge forecast of 4-9 feet verifies in the New York City area it would be the worst flooding since Gloria in 1985, possibly since ex-Tropical Storm Agnes merged with an extra-tropical low pressure system to produce massive flooding in late June, 1972. Source: nyc.gov. * New York City officials are discussing evacuation plans and even closing the subways at the height of the storm (Monday). “SLOSH” simulations are predicting as much as 6-9 feet of water pushing across Long Island Sound into parts of Queens and Brooklyn. A storm surge coming up New York Harbor may flood Lower Manhattan and Battery Park. Areas within 5 feet of sea level are threatened. My hunch: La Guardia Airport and JFK may see runway inundation Monday, with as much as 1-3 feet of standing water on some runways. * NBC in New York reports that MTA officials are considering shutting down subways, bridges and commuter rails by 7 pm Sunday. No final decision has been made as of 10 pm eastern time, but I anticipate that this will, in fact, happen. Don’t wait until the last minute. 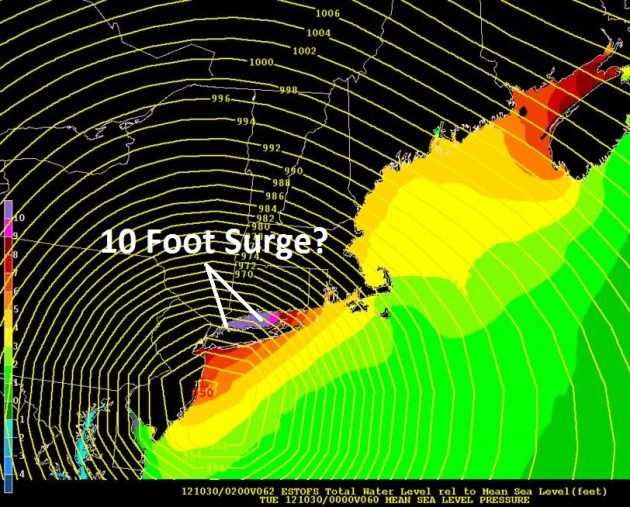 * A 4-8 foot storm surge is possible over coastal New Jersey and the southern coastline of Long Island. Communities that have a history of severe flooding during hurricanes and severe Nor’easters can expect widespread flooding from Sandy. Minimal Hurricane – Maximum Punch. 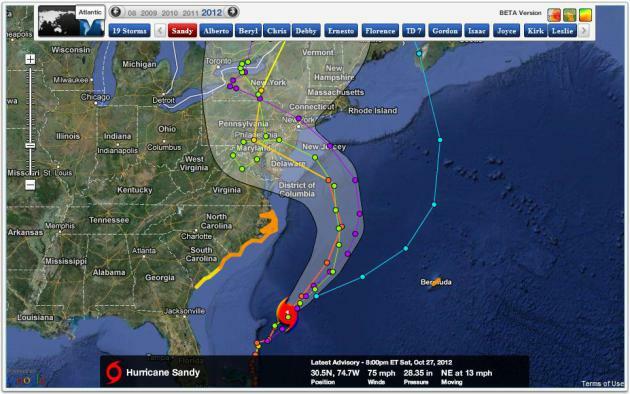 Don’t be fooled by Sandy’s Category 1 ranking. A powerful contrast in pressure between this deepening storm, and a blocking ridge of high pressure to the north, will create a vast area of 50-90 mph winds late Sunday into Tuesday morning, as much as 250 miles wide as the storm “hooks” westward, probably passing just south of Long Island and New York City. Map: Ham Weather. Latest Model Ensemble. 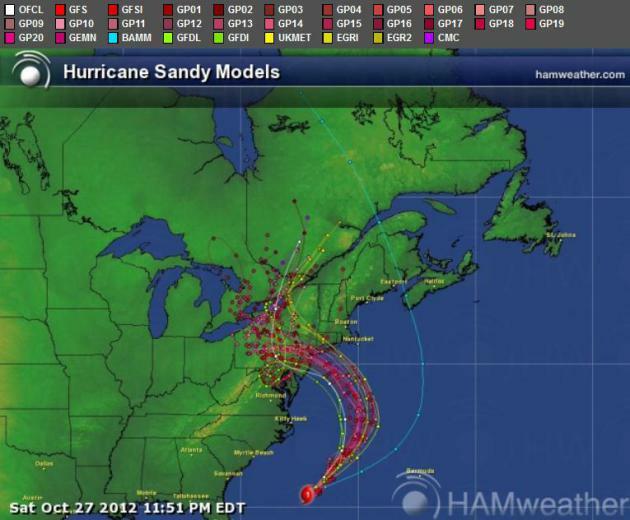 A majority of weather models bring Sandy’s path south of New York City and Long Island. 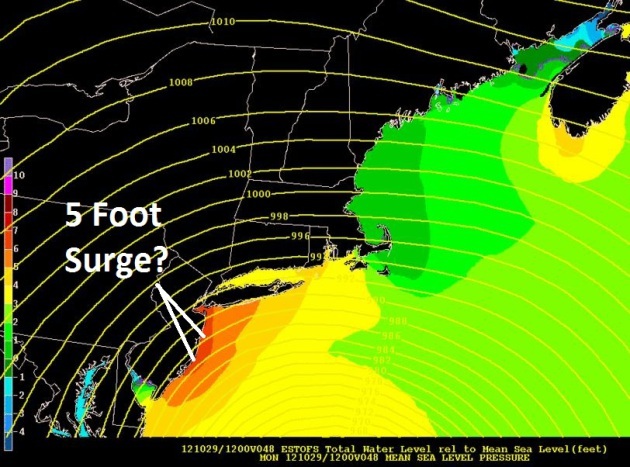 Keep in mind that the most extreme storm surge will take place north of wherever Sandy comes ashore. We are placing special emphasis (as is NHC) on the GFS and ECMWF (European) solutions. Map: Ham Weather. European (ECMWF) Model. The ECMWF was the first model to turn Sandy inland – back on Monday we predicted that Sandy would, in fact, impact the northeastern USA. 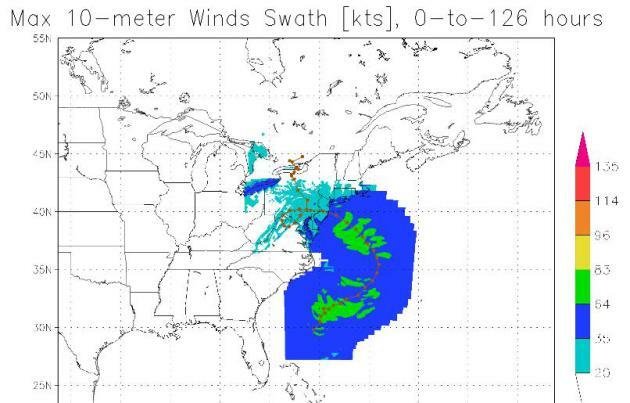 So I’m putting a little additional weight on this model, which shows landfall just north of Atlantic City Monday night. Map above valid 1 am Tuesday morning. The purple-shaded area designates the most extreme rains, with as much as 1-2” of rain falling every 3 hours from the Delaware Valley to Washington D.C. The greatest impact of inland flooding comes Monday afternoon into Tuesday morning. Map: WSI Corporation. GFS Model. Underscoring and validating the ECMWF simulation, the latest GFS run also shows a landfall near Atlantic City Monday evening at 7 pm (00z GFS run). This could be close to a worst-case scenario for Manhattan: sustained east/southeast winds, coupled with extremely low pressure, carving out a dome of water, a “storm surge”, as much as 5-10 feet above normal high tide. 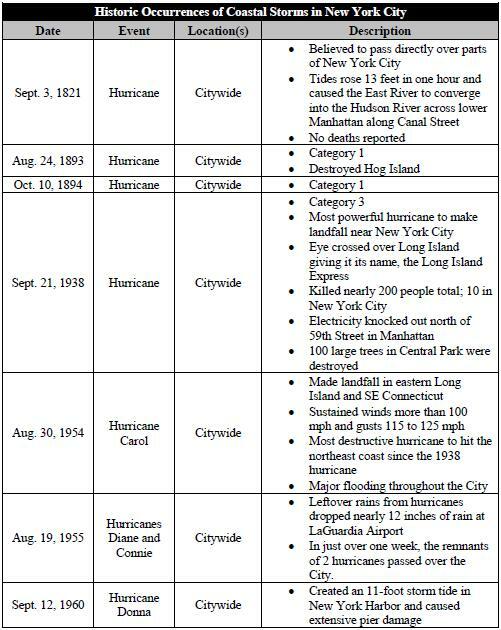 A full moon Monday increases the risk of historic flooding, possibly comparable to the June 22, 1972 flood, which was sparked by Tropical Storm Agnes fusing with another storm, resulting in 122 deaths and $6 billion in damage (nyc.gov). Map: Weather Bell. Canadian Model Solution. 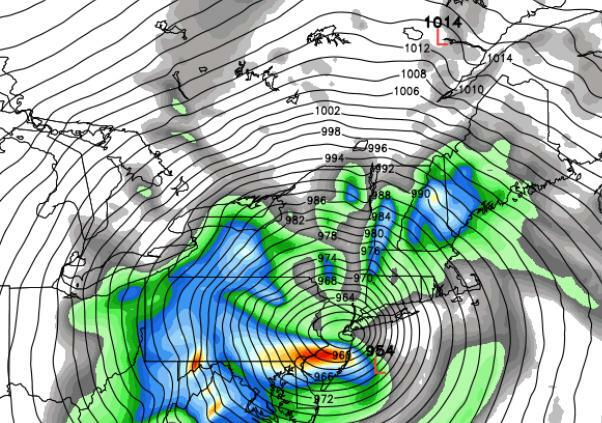 The GEMS model from Environment Canada shows a vaguely similar left-hand turn for Sandy late Monday into Tuesday morning, with the core of the storm passing almost directly over New York City by 1 am Tuesday morning. I want to stress that Boston, Cape Cod, Martha’s Vineyard, Nantucket, Providence and coastal Long Island will also experience potentially historic flooding, due to the combination of a powerful differential in air pressure, slow movement and a full moon late Monday. Map: Weather Bell. Dangerous Storm Surge. NOAA’s “Slosh” models are showing a storm surge as high as 6-10 feet above mean sea level Monday evening at 7 pm over the westernmost tip of Long Island Sound – pushing water into Queens and Brookyn. 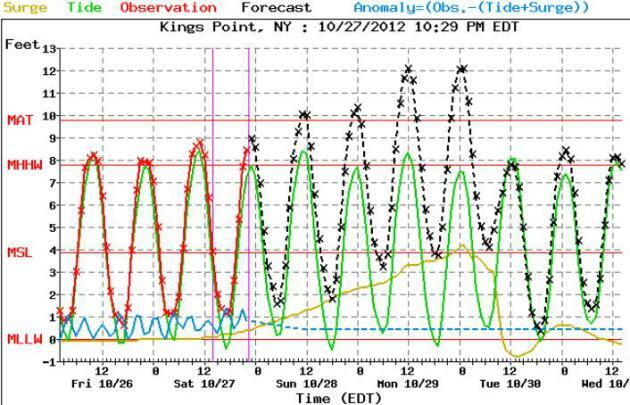 Both JFK and LGA may see runways inundated by rapidly rising water as Sandy tracks just south of Long Island. Map above: NOAA. Summary: Sandy is still on track to deliver a punishing blow to much of the northeast, the slow speed, extreme pressure gradient and full moon on Monday making this historic Nor’easter equivalent to a Category 1-2 hurricane. It’s still impossible to pin down where the most severe storm surge will take place – the level of water hinges on the precise track Sandy takes as it passes south of Long Island and New York City Monday. Consider accelerating your preparations to safeguard life and property. Remember the impact of inland flooding – many towns will lose power for several days, perhaps longer. If you live within 5-7 feet of sea level, in an arc from New Jersey to New York to Long Island and southern New England, have a Plan B, well inland. The best advice if you can’t reach higher ground in time: vertical evacuations. Find shelter on the third or fourth floor of a well constructed building (office complex or hotel), well away from outer walls and windows to safeguard yourself from flying debris and broken glass. 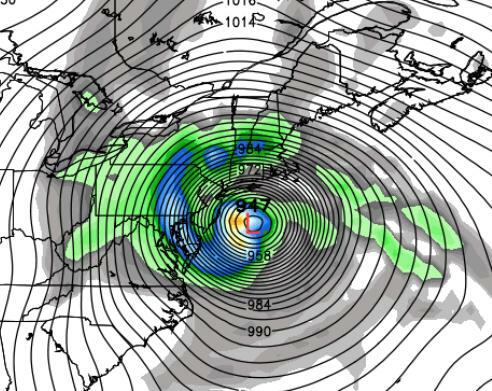 Sandy may be a hybrid hurricane – Nor’easter by the time it pushes ashore Monday night; but there’s little doubt this will be an historic storm. 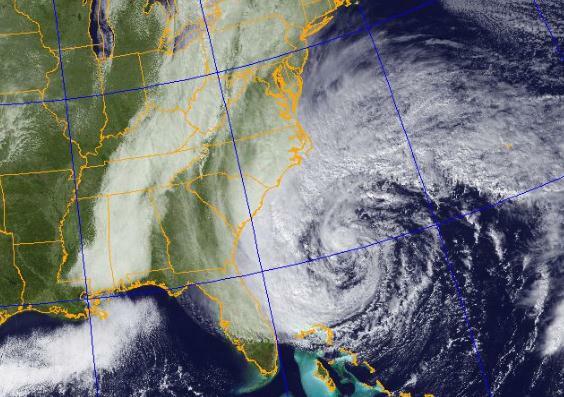 Remembering Irene: Don't Underestimate Risk of Inland Flooding. 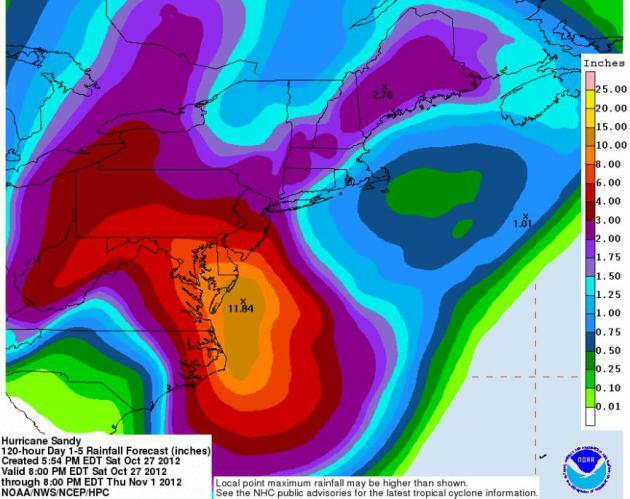 NOAA HPC is predicting a wide swatch of 4-8" rains from Sandy, with some 10" amounts over the Delmarva Peninsula. Election Day Weather. Here is the updated GFS (very extended) Outlook for Tuesday evening, November 6. Overall the forecast looks drier than it did yesterday, the only rain over northern New England, Louisiana, Texas and the Pacific Northwest, a few light showers from Grand Forks to Duluth and the Twin Cities. "No Weather". The same ECMWF (European) model we're using to try to track Sandy shows a benign weather pattern for Minnsota and the Upper Midwest, a weak upper level ridge stalled overhead, a series of very weak clippers producing some patchy clouds today and Monday, again Halloween, but highs in the 40s, maybe topping 50 by Thursday. 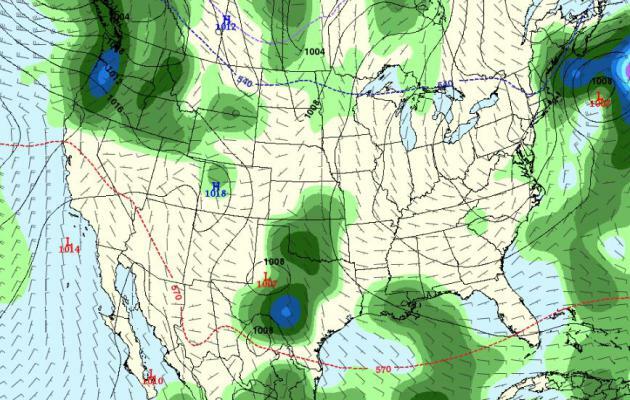 The next chance of a cold rain: a week from Monday. Blue and Brisk. The sun was out part of the day, but temperatures were more than 10 degrees cooler than average, statewide, ranging from a high of 36 at International Falls to 40 Duluth, 43 St. Cloud and Twin Cities and 45 at Rochester. 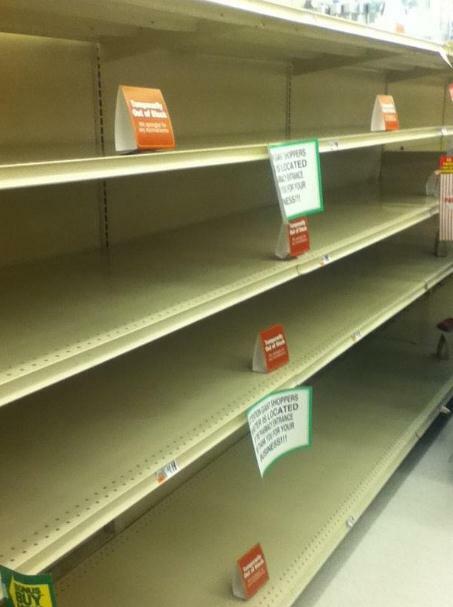 * photo of empty store shelves in Harrisburg, PA above courtesy of MD Guzy. 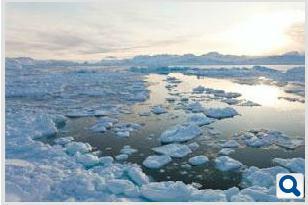 Arctic Thaw Will Release 850 Billion Tons Of Carbon, Says Latest Study. The Times of India has the story; here's an excerpt: "Global warming just spun more out of control than thought. As much as 44 billion tons of nitrogen and 850 billion tons of carbon stored in the frozen wastes of Arctic could be released into the environment as the region begins to thaw over the next century, a new study led by the US Geological Survey said. The thawing process has already started with sea-ice levels at their lowest this summer. What is staggering is the the new numbers put out by the USGS. If these are correct, it would mean that carbon quantity in the atmosphere will roughly double. It will greatly enhance the rate at which warming is already taking place and could cause widespread destruction of life and habitat..."
Photo credit above: "This is the first time an estimate of the nitrogen trapped in the Arctic permafrost has been released. Scientists had till now been using computer model based climate predictions."